The IPHC is pleased to participate with the National Association of Evangelicals in a program to aid in the financial life of pastors and churches. A matching grant has been received from the Lilly Endowment Fund to enable this new program. Two elements are available for our pastors and churches. The first is called Financial Health for All. 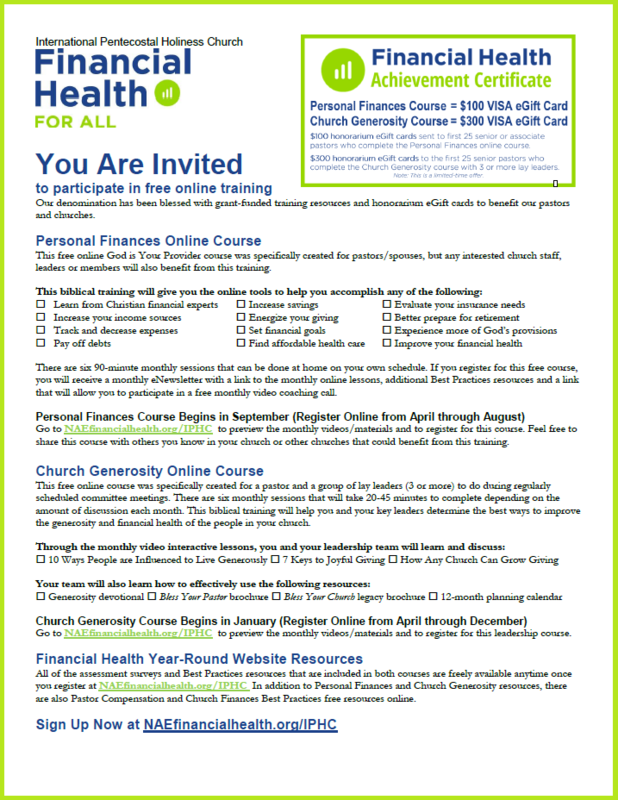 In this section, several tools and classes are offered on personal and church finances. The second portion is Financial Help for Some. 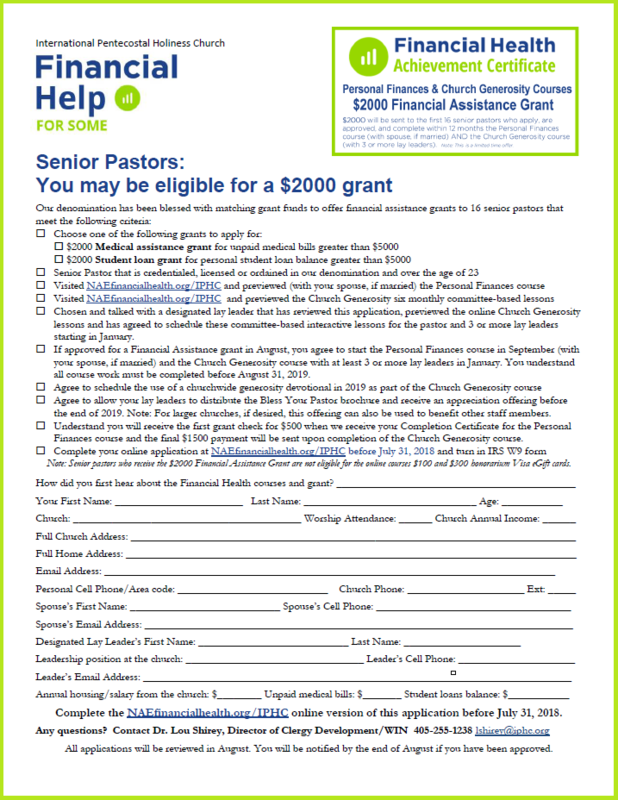 For those who apply and qualify, grants will be awarded to assist with medical issues and student loans for IPHC pastors. All of the necessary information is presented in the links below. We do trust that this program will be a great assistance to our pastors and churches. Church Generosity Online Course begins January 2019. Register online from January – December 2019. Application must be submitted by December 15, 2019.